Marilyn B. 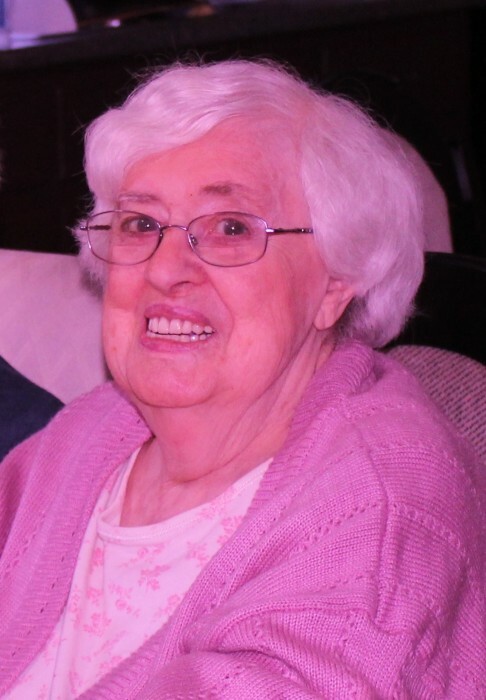 “Lynne” (Bowden) (Garon) Demers, 86, of East Hampstead, NH passed away on Friday April 13, 2018 after a short illness. Marilyn was born on January 8, 1932 in Lawrence, Mass to George and Rose Bowden. Marilyn was predeceased by her Husband, Rudolph M. Demers. Marilyn loved to read, do crossword puzzles and go out to eat. She had an amazing singing voice and sang for many years with the Andover Choral Society. She retired from the IRS and had also worked at the former LT Industries and Gibco Diagnostics. She had attended the East Hampstead Union Church. Marilyn is survived by five sons and one daughter: Edward Garon of Montana, Bruce Garon of North Carolina, Stephen Garon and his wife Paula of Chester NH, Rosemary Demers-Davison and her husband John of Salem NH, Kevin Demers and fiancé Laurie Rogers of Chester NH, Glenn Demers and wife Lisa Hamel of East Hampstead NH. She has two sisters and one brother: Elaine Finocchario of Methuen MA, Dorothy LaPlume of Portsmouth NH, and George Bowden of Florida as well as two sisters in-law, Mildred Demers-Waldie of Maine and Sandi Demers of Salem NH. Marilyn had 17 Grandchildren, several great grandchildren, nieces, nephews and great nieces and nephews. She was also the widow of Edward Garon and had a close friend Connie Haibowicz.